THE COMMERCE MINISTER is upbeat that rice prices are on the up trend, citing the large number of foreigners placing orders, but exporters and economists are cautious about its sustainability. “The price of fragrant Thai Hom Mali rice has risen fast between Bt16,000 and Bt17,000 per tonne of paddy rice. We expect total rice exports to reach 11 million tonnes this year,” Sonthirat Sonthijirawong said yesterday. His comments came after a meeting with 160 rice importers from 28 countries. He expected rice importers to place orders worth about Bt1.5 billion this year and Bt30 billion next year. 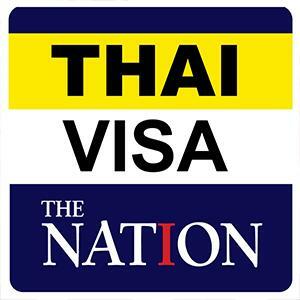 The Commerce Ministry has invited rice importers to meet Thailand’s counterparts, as the ministry tries to push exports. Key markets include China, Hong Kong, Canada, United States, Europe, Africa, Middle East and Asean countries. As of September, total rice exports increased to 8.12 million tonnes worth US$4.1 billion (Bt135 billion), up 14.13 per cent from the same period last year. Large markets this year include Benin, the US, Indonesia, China and the Philippines. Hom Mali rice accounted for 45 per cent of rice exports, white rice 25 per cent and processed rice 3 per cent. “The business matching is aimed at expanding rice and related rice products to the global market and to shore up the rice price during the beginning of the harvest season. We expect foreign buyers to place orders worth Bt1.5 billion this year and Bt30 billion next year,” Sonthirat said. He said on average the price of Hom Mali rice this year is about Bt16,000 to Bt17,000 per tonne of paddy rice, and in some areas the price has gone up to Bt18,000 per tonne. The price of Hom Mali rice last year was about Bt9,000 to Bt10,000 per tonne. Charoen Laothamatas, president of Thai Rice Exporters Association, said the lower production of Hom Mali rice due to drought in key areas such as Nakhon Ratchasima, Surin and Si Saket provinces played a key role in pushing the price up this year. The price of Hom Mali rice in the global market is currently about US$1,100 (Bt36,000) free on board compared with the normal white rice’s $390 per tonne. The price of white rice increased only slightly to Bt7,500 to Bt8,000 per tonne from Bt7,300 to Bt7,800 last in the same period last year, Charoen said. “It is hard to predict the price in the future, as it depends on the demand and supply situation,” he said. Thai rice exporters and importers yesterday signed four memoranda of understanding to buy 93,000 tonnes of rice: 759 Store from Hong Kong agreed to buy 10,000 tonnes of Hom Mali and 4,000 tonnes of Pathum Thani fragrant rice to distribute via its 224 supermarkets in Hong Kong; Everflowing Fortune Trading Inc from the Philippines agreed to buy 70,000 tonnes of white rice and 5,000 tonnes of Hom Mali rice; Guangdong Youliang Grain and Oil Industrial Co, a China-based company, agreed to purchase Hom Mali GI and organic Hom Mali totalling 4,000 tonnes. Looking ahead, the price of Hom Mali rice could rise further and it would also push up the price of white rice, said Sakon Varanuwatana, vice minister for Commerce. He said foreign buyers have high confidence in the quality of Thai rice, as Vietnam, Thailand’s main competitor, was hit by floods this year. Viroj na Ranong, an economist at the Thailand Development Research Institute, however, was cautious about the rise in the price of rice. The current Hom Mali price is not high when compared with the Bt20,000 per tonne due to heavy price intervention by the Yingluck Shinawatra administration. Moreover, the global market for Hom Mali rice is small and the price could swing widely when supply changes a bit, he said. He did not think farmers, most of them in the Northeast, would benefit much from the rise in the Hom Mali price, as they are small landholding farmers. The rice market is very competitive as many countries can grow this staple crop, and Thai farmers – especially those who grow Hom Mali rice – have low income, he said. Apart from rice, cassava is also seeing rising prices, as production in Cambodia was hit by the outbreak of a disease. The prices of most farm products, including rubber and palm oil are low.